The film is also expected to surpass $2 Billion internationally this weekend. 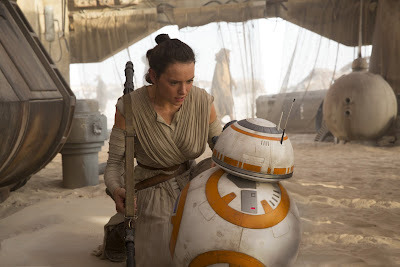 Today also marks the 50th day The Force Awakens has been in theaters. Congrats to the cast and crew of The Force Awakens for this milestone! How many times have you seen The Force Awakens? (I've seen it 12 times). Let us know in the comments! Only twice...bowing to peer pressure from my GF :) I plan to watch the Blu-ray countless times once it's out. Yo la 7 veces.Aquí en medicina sale esta semana de cartelera. Yo la vi 7 veces. 9 times. Looks like I need to see it again! I agree, there is so much wrong with VII, creative bankruptcy, irritating comedy, Daisy is a mary sue and John is a white knight and the praise is due to the SJW's and the lethal injection of PC and feminism which Hollywood loves putting in new movies these days. It's a real shame.